Composed by Various. Easy Piano Songbook. Jazz, Standards. Softcover. 162 pages. Published by Hal Leonard (HL.196269). 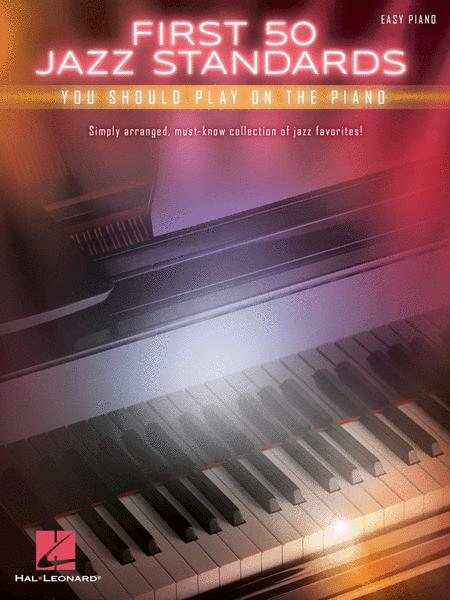 Do you feel you've learned enough piano skills to take on some jazz tunes? 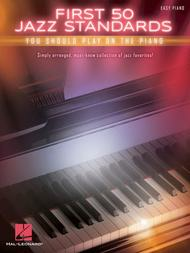 This book is designed to let beginners dive into jazz standards with success. The arrangements, although easy, are full enough to make you sound great. Lyrics are also included. This collection features 50 of the best jazz standards ever, including: All the Things You Are • Autumn in New York • Body and Soul • Don't Get Around Much Anymore • Fly Me to the Moon (In Other Words) • Georgia on My Mind • The Girl from Ipanema (Garôta De Ipanema) • It Could Happen to You • Misty • My Funny Valentine • Night and Day • Satin Doll • Speak Low • Summertime • The Way You Look Tonight • When I Fall in Love • You Stepped Out of a Dream • and more.